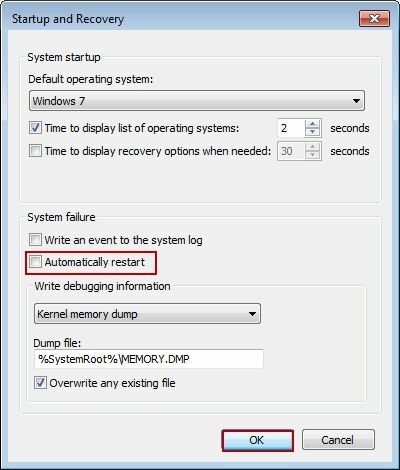 If the client gets blue screen, but it does not show the BSOD code and then just auto-restarts, you can follow the following steps to disable client automatically restarts when BSOD. So you can get the BSOD code and search it on Google or send it to us to find the corresponding solutions. 2) In the pop up "Control Panel/All Control Panel Items/System" form, click the "Advanced system settings". 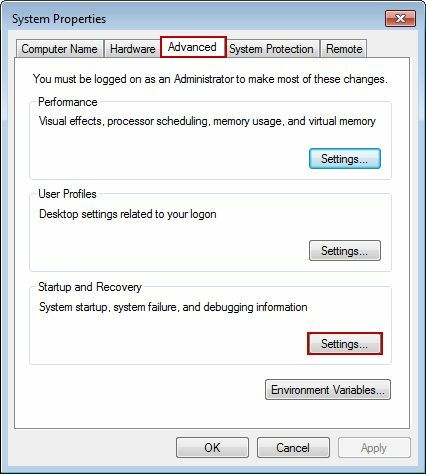 3) In the pop up "System Properties" dialog box, click the "Advanced" tab, and then in the "Startup and Recovery" column, click the "Settings..." (Figure 1-1). 4) In the pop up "Startup and Recovery" dialog box, uncheck the "Automatically restart" check box, and then click the "OK" button (Figure 1-2).